Henry Bessemer was a Victorian engineer who made important discoveries in the production of steel, and who therefore laid the foundation for much of Great Britain’s later success in industry and manufacturing. He was born on 19th January 1813 at Charlton, a village near Hitchin in Hertfordshire. His father Anthony had been trained in engineering and operated a typefounding business. Henry only had an elementary education and spent much of his childhood watching his father at work and carrying out experiments of his own. When he was 17 his father moved his business to London and Henry found himself in the capital with no trade or profession but an inventive turn of mind that he hoped to put to productive use. He carried out a range of experiments in several fields, including electroplating and the development of a machine for sugar refining. In 1833 he developed a die stamp that could be used on official documents to prevent fraud. The idea was that the stamp perforated the document with hundreds of tiny holes, thus making the document virtually impossible to counterfeit. Although this invention was enthusiastically taken up by the Government Stamp Office, Bessemer was never rewarded for it. He had more success with his development of bronze powder which was used to give the appearance of gold in the decoration of various objects. He devised a manufacturing process that was much more efficient than what had previously been available, and set up a workshop for its production. This venture was highly successful and gave him the funds he needed for his later work, such that he was never dependent on bank loans to pay for the many patents that he would register during his career. He was also able to buy a house in Highgate and an office in the City of London, as well as maintaining his factory. In April 1834 he got married, his wife Ann being the daughter of a friend. The Crimean War turned Bessemer’s attention to the work for which he is best known, namely a way of producing a metal that was strong enough to withstand the forces involved in artillery weapons. He had already developed the idea of a revolving shot, which could be fired with greater accuracy, but existing gun barrels were too weak to take the pressure. Bessemer’s solution was to blow air through molten iron within an egg-shaped furnace – the “Bessemer Converter”. This had the effect of reducing the carbon content and creating mild steel that was far stronger than wrought iron and was also cheap to produce. 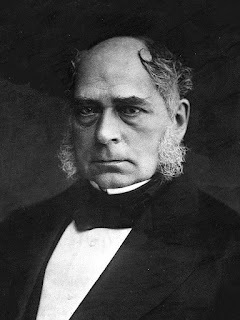 Bessemer clearly felt that he had solved all the problems involved in steel production and he delivered a paper (entitled “On the Manufacture of Iron and Steel without Fuel”) at a meeting of the British Association for the Advancement of Science in August 1856, confident that his fortune was made and that other manufacturers would also grow rich from using his method. However, problems soon arose due to Bessemer’s lack of basic metallurgical knowledge. He had failed to appreciate that not all samples of wrought iron would react in the same way to his conversion process, due to their chemical composition. For example, a high phosphorous content led to steel that was brittle at low temperatures. Improvements to the conversion process were made thanks to the work of Robert Mushet, who suggested the use of a compound of iron, carbon and manganese to prevent over-oxidation, and a Swede, Göran Göransson, who redesigned the airflow system of the converter. After these refinements were made it became possible to manufacture high-grade steel reliably and in bulk. In 1858 Henry Bessemer opened the Bessemer Steel Works in Sheffield, together with three partners. Other Sheffield steelmakers came to appreciate the value of the Bessemer process and applied for licences to adopt it in their own factories. Steel production now increased by leaps and bounds. By 1870 some 200,000 tons of Bessemer steel were being produced annually by fifteen Sheffield companies. However, by 1880 the tonnage had increased to one million and by 1890 to two million, this being two-thirds of all steel production in the United Kingdom. Much of this steel was used in the rapidly growing railway system and in shipbuilding, with large quantities being exported for use in Britain’s overseas colonies. The Bessemer process also proved highly popular in the United States, where production reached six million tons a year by 1900. One black mark against Henry Bessemer was his reluctance to acknowledge his debts to fellow inventors, particularly Robert Mushet and Göran Göransson. He granted Mushet a small pension for his contribution, but only after personal pleas from Mushet’s daughter and friends, and his autobiography (published posthumously in 1905) never mentioned Göransson at all. Bessemer was the sort of man who was happy to claim credit for all the success that came his way but to overlook his mistakes, of which there many throughout his career. Bessemer was knighted in 1879, having retired from active business in 1873. He died at his London home in 1898 at the age of 85. His wife had died the previous year, and he was survived by two sons and a daughter.